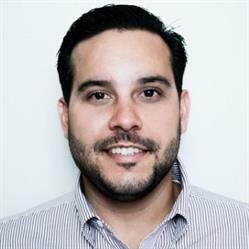 SAN FRANCISCO, CA--(Marketwired - September 26, 2016) - Webgility, the leader in multi-channel e-commerce automation software, today announced that sales veteran Michael Mansour has joined Webgility as vice president of sales. Mansour brings a track record of success leading teams in fast-growth companies, consistently beating targets and delivering successful outcomes. At Webgility, Mansour will scale the company's sales initiative to match the great momentum of the growing e-commerce operations market. "Webgility has a phenomenal addressable market, and its position in the competitive landscape has the company poised for success," said Michael Mansour, Vice President of Sales, Webgility. "I look forward to scaling our stellar sales team and helping grow our business exponentially." Mansour most recently served as director of sales at Livefyre, which was acquired by Adobe. Prior to that, he led sales development at Marketo, scaling its team to accommodate the company's rapid growth. Michael has also held management positions at telecom players such as 8X8 and Fonality. He holds a bachelor's degree from University of Central Florida. "This is an exciting time at our company and in the industry at large," said Parag Mamnani, founder and CEO, Webgility. "Michael will bring us the fast-growth sales expertise that will help Webgility reach its maximum potential and bring our solution to even more small and mid-sized businesses, letting them concentrate on doing what they love rather than worrying about operations. Our products are seeing tremendous growth as our competitors falter, and we look to Michael's sales leadership to carry that momentum and customer growth to the next level." Webgility, Inc. is the leading provider of software for multi-channel e-commerce companies, managing millions of transactions for 10,000-plus online stores every month. Webgility's mission is to empower online retailers to focus on their passion by simplifying operations through accounting automation. Its Unify solution automatically syncs all revenue streams, expenses, and business systems so businesses can have better perspective, make smarter decisions, lower costs, and simplify bookkeeping. Webgility® is a certified partner of Intuit®, QuickBooks®, Xero, and NetSuite®, and works with more than 70 e-commerce platforms and SaaS providers (including Amazon®, eBay®, BigCommerce®, Shopify®, and Magento®), payment processors (PayPal, Stripe, Shopify Payments, Square), and hosting providers. Founded in 2007, the company is headquartered in San Francisco with an international branch in Indore, India. For more information about Webgility, visit http://www.webgility.com. About this company Webgility, Inc.